AMMONNEWS – The King Abdullah II Fund for Development (KAFD) has signed a cooperation agreement with Jordan Oil Shale Company (JOSCo), a wholly owned subsidiary of Royal Dutch Shell plc, to finance the graduation projects of outstanding Jordanian public and private university students in the areas of environmental, water, energy and geology fields. By virtue of the cooperation agreement, JOSCo will dedicate JD 60,000 to fund approximately 12 graduation projects from various Jordanian universities. 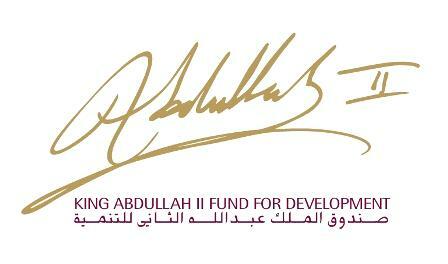 The financing process will follow the same mechanism used in KAFD’s graduation projects’ support program, which was launched in 2004 in partnership with the Scientific Research Center of the King Abdullah II Design and Development Bureau (KADDB). To date, KAFD has financed 146 graduation projects that have benefited a total of 477 students. The newly signed agreement is expected to further raise the number of students benefiting from the program. Signing the agreement were KAFD Executive Director Tarik Awad, JOSCo General Manager Thomas Meijssen and Natural Resources Authority Director General Mousa Al Zyoud on behalf of the Jordanian government. Meijssen went on to state that this cooperation agreement represents the first of several of JOSCo’s social investment projects in the areas of HR capacity building, environmental preservation and traffic safety that the company aims to support in partnership with different entities specialized in local community development.